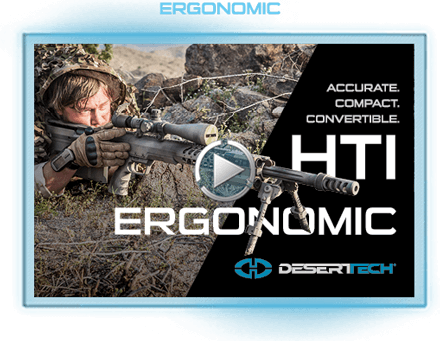 The HTI was designed to operate under the harshest conditions and abuse. It utilizes high-impact polymers, aircraft grade aluminum (7075-T6), and ultra high strength steels. Ergonomic stock panels attach directly to the receiver. 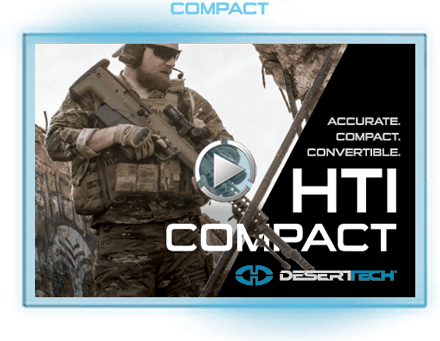 The HTI sustains its accuracy and reliability in virtually any environment, including subzero arctic temperatures, extreme desert heat and dust, and wet jungle environments. The perfectly balanced bullpup configuration of the HTI makes it 12" shorter and 12 lb lighter then the M107 currently in use by the US Army. Choose between four powerful calibers to suit specific mission requirements. 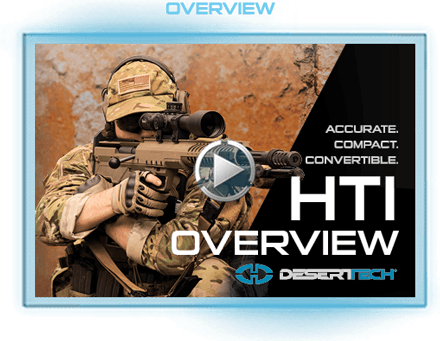 Caliber conversions for the HTI take sixty seconds. Login, And Be The First To Leave A Review. EXPORTING: to send goods or services to another country. WARNING: The sale, transfer, transportation, or shipment outside of the USA of any product that we provide or technical data is prohibited or restricted without first complying with U.S. export control laws and regulations. Exporting is strictly prohibited and may result in civil penalties and/or constitute a federal crime. 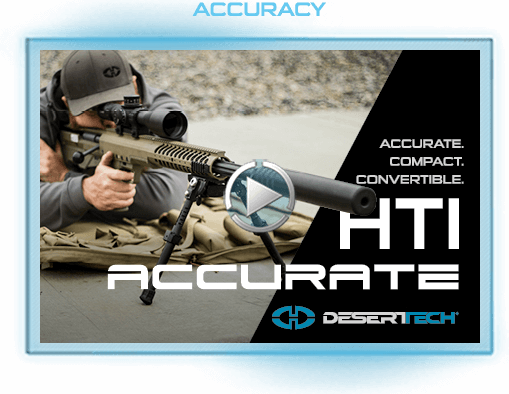 Desert Tech LLC will not engage in any transaction that requires the illegal export of any products and will not assist directly or indirectly with the illegal export or re-export of any products. Positions shoulder above bore to minimize muzzle rise. Rapid elevation modification with fine adjustment. Non-slip pad adjusts up or down and locks into place. 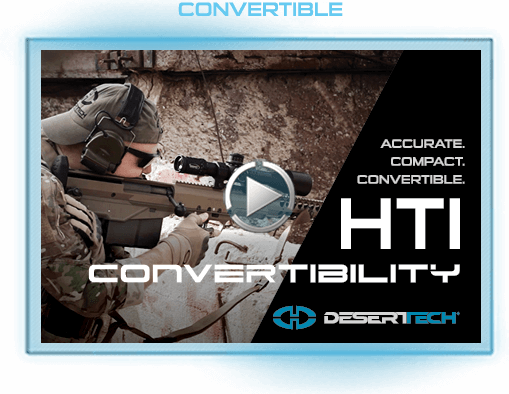 Reduces rifle length and allows for fast manipulation. Fully adjustable for travel, creep, location and weight. Allows optimized placement of accessories. With match barrel reduces recoil, whip and yaw.